Based on Philippians 4: 8-9, Whatever Is Lovely shows children that even though life has troubling moments like being afraid or sad, we have a God who listens to our prayers. Whatever Is Lovely by Poole, Susie was published by B&H Kids in February 2014 and is our 1518th best seller. 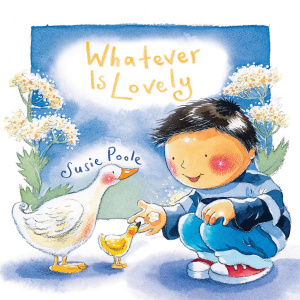 The ISBN for Whatever Is Lovely is 9781433683374. Be the first to review Whatever Is Lovely! Got a question? No problem! Just click here to ask us about Whatever Is Lovely.